Look out for the January issue of House and Garden magazine – there is an feature all about us! 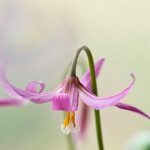 Our beautiful flowering-size Erythronium bulbs are available now. We send them carefully packed and wrapped ready for you to plant up in pots or straight into the garden. We will send planting advice with your order. 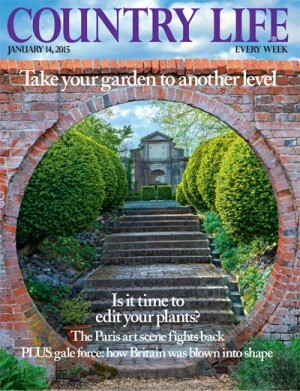 Delighted to see our ‘Harvington Single Picotee’ in the gardening section of the FT this weekend. Thank you to Clive Nichols and to Robin Lane Fox. Helleborus ‘Harvington Rebekah’ – RHS ‘The Garden’ front page show stopper! 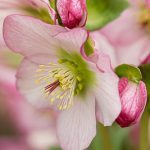 Have you seen the front page of Royal Horticultural Society’s ‘The Garden’ magazine January 2016 edition… it has our very own Helleborus ‘Harvington Rebekah’ on it! See pages 38-41 to read about Roy Lancaster’s visit to our nursery earlier this year. Trilliums… like you have never seen them before! I received a phone call today from a happy customer called Jason who was delighted with the Trillium rhizomes we sent him last week. 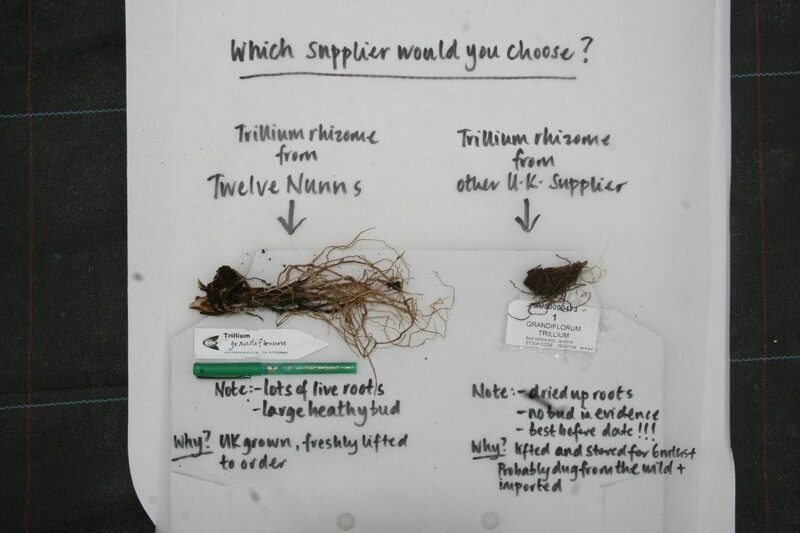 He has bought many Trillum rhizomes from various sources in the past – but none as good as ours! To confirm, our rhizomes are FRESHLY lifted, despatched with lots of live roots and a healthy bud. They are grown by us and are of flowering size (thanks Dad!). Please call or email if you would like a mail order list or any further info. Order Trillium and Erythronium now!